Friday, May 13 at 8pm: I’ll be participating in the SFWA Conference Mass Signing, in the Red Lacquer Room of the Palmer House Hilton. And not just me but literally dozens of science fiction and fantasy authors, including many of this year’s Nebula Award nominees (click on the link above to see them). This signing is free and open to the public; you can bring your own books or booksellers will be on hand to sell you things. You may also, if you like, attend the full SFWA Conference, which will have panels devoted to professional enrichment for authors — here’s more information on how to attend the whole weekend. Saturday, May 14 at 2pm: I’m signing at Bookcon, at the West Building of McCormick Place, booth 1958. And again, not just me: There will be many authors signing books and doing panels at Bookcon, including some of the very hottest of YA authors. Bookcon is a ticketed event. These are currently my only scheduled public events in Chicago for 2016, so if you want to see there — this is the time! Gentle reader, was it chance or providence that brought you here today to read Ada Palmer’s Big Idea piece about her novel, Too Like the Lightning? And does it matter if it were either? And what do chance and/or providence (or the mindset that would attribute your presence here to either) have to do with Palmer’s novel? Gentle reader, read on. 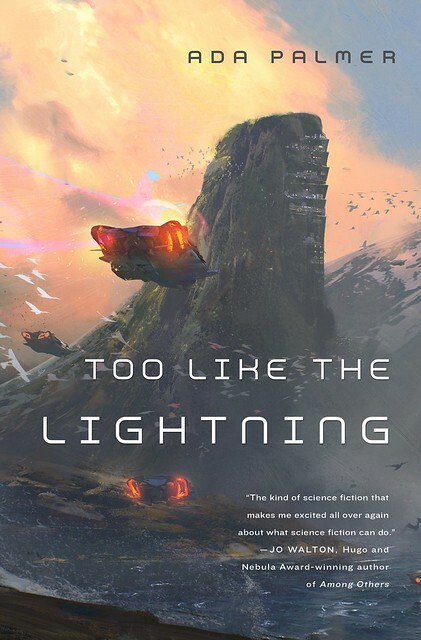 Too Like the Lightning has a cover with flying cars swooping in to land on a sparkling futuristic city above a modernist sans-serif title font. Its first page has 18th century period typography and woodblock ornaments, with permissions in French and Latin saying that its publication has been approved by religious censors and the King of Spain. The cover and title page together give you a kind of temporal whiplash, and genre whiplash too: is this historical fiction or SF? And that temporal/genre whiplash is exactly what the book is like. In college I read Voltaire’s short story “Micromegas” (1752), one of the oldest works we can unreservedly label science fiction. In it, a pair of giant aliens—one from Saturn and one from a huge planet orbiting Sirius—visit the Earth. Since they stand many miles tall, at first they think Earth is uninhabited, but then they spot a (tiny tiny) whale, and then a ship, which turns out to be swarming with (microscopic) creatures with language: humans. For me, the exciting difference between “Micromegas” and a modern short story is what I call Voltaire’s “question palette”, i.e. the big hot issues of Voltaire’s day, which he used aliens to investigate, the same way modern authors have used them to investigate 20th century questions, like the limits of what it means to be human, or the possibilities and consequences of democracy, empire, fascism and other modern political movements. 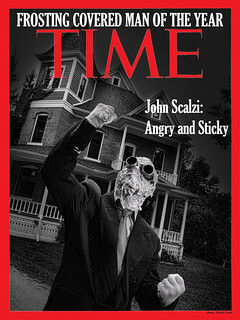 Science fiction’s question palette has shifted many times over the 20th and (now) 21st centuries too—reacting to Marxism, DNA breakthroughs, the Cold War, and 9/11 as Voltaire reacted to Hobbes, the microscope, the War of the Austrian Succession, and the Lisbon Earthquake—but shifts over decades are nothing compared to shifts over centuries. When you read Voltaire’s science fiction, his unfamiliar questions make it feel like you’re reading science fiction written by an alien as well as about an alien, since its author is an alien in time. Given how complex and weird history is, a mind from 1750 is often a lot stranger and more alien than the aliens we invent to populate our alien planets, and anyone who reads or watches old SF (think original Star Trek) can see the mores of the decade it was created leaking through in every “alien” society. The question palette is Enlightenment to match: “Do you think it was Chance or Providence, reader, which made his flying car touch down on that particular morning?” We meet these kinds of questions a lot in historical fiction, and period fiction, but no one has asked them of a Golden Age type science fiction future before. They bring out different issues: constitutional governments vs. tradition-based governments, balancing religion and Reason, the best kind of monarchy, cultural relativism when it was a quirky new idea, and questions about the place of humanity in the cosmos when the cosmos was a very different shape. I put a lot into my world building—new government models, family structure, identities—but I tried to build these out of 18th century trends too, imagining a future with roots in the long continuity of historical change. I don’t skip the 20th century—this future has continuity with our present—I just did my “What should be different in the future?” brainstorming by focusing on the things which started to change 250 years ago and are still changing now, instead of concentrating on 20th century changes. For example, Enlightenment radicals really wanted to reform the justice system, to get away from torture and the death penalty, and try deterrence-based justice instead of retribution-based justice. We’re still deep in that same reform process, discussing the definition of torture and the utility of incarceration, so my 25th century judicial system uses 20th century ideas, and 18th century ideas, and even 16th century ideas that are all part of one long-term debate. After all, ideas get revived a lot in history. If the authors of the US Constitution were looking in part at ancient Greek democracy, then aren’t political reformers in the 2450s as likely to get ideas from 1750 as 1950? So, that’s why my cover and my title page seem like a mismatch, but both are just right for a future built out of the past, rather than out of the present, and approached with a question palette from the past as well. And it turns out that, if you ask a different century’s questions, a Golden Age flying cars future has a lot of new things to tell us. 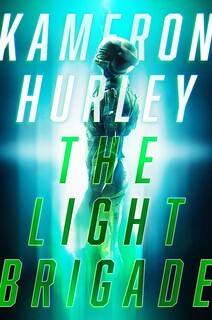 When you do a public reading of the first chapter of your book, you always get some un-answerable questions, the ones whose answers would be a huge spoiler, like “Who planned the break-in?” or “The narrator is a convict, but what did he do?” But I was shocked (and delighted) at my very first ever reading to get exactly the right un-answerable question, the one which Voltaire, and Diderot, and the Marquis de Sade (he’s from the Enlightenment too, after all) would have asked right away of any book like this. A question which proved I’d started the book off right: “So, is there Providence?” Spoiler! Read an excerpt. Visit the author’s site and blog. Follow her on Twitter.